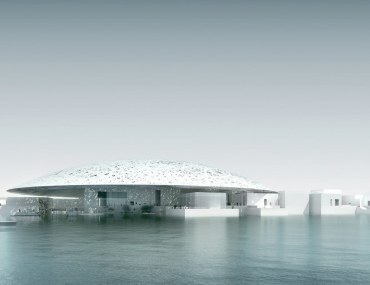 Every month Bayut.com picks their favourite UAE locality and this month it is the opulent and the majestic Dubai Marina. The Marina is often the most searched locality for buying and renting on our website, and an area that we are always interested in featuring in our content, whether we cover real estate or lifestyle. Dubai Marina has got it all. 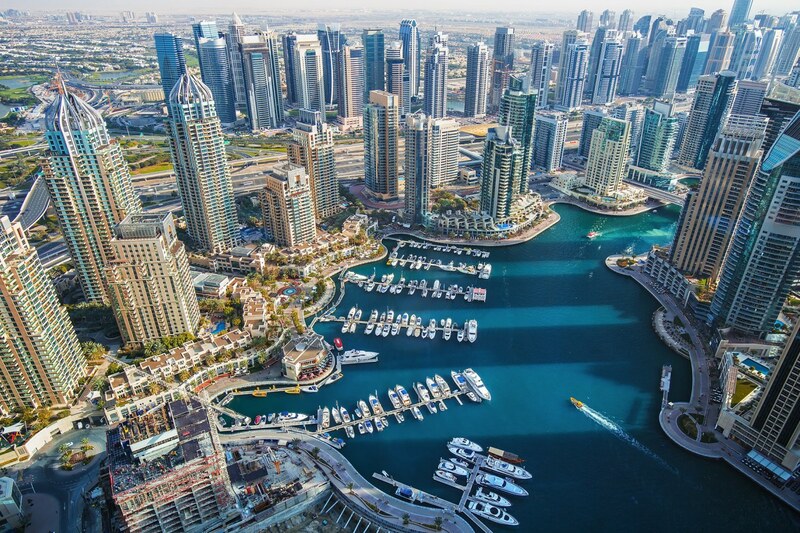 Let’s take a look at what it means to buy or rent an apartment in Dubai Marina. Dubai Marina is the Manhattan and the Venice of Dubai wrapped in one fully developed locality for those seeking out the ideal lifestyle. Buying an apartment in Dubai Marina also means potentially possessing a flat in ‘The World’s Tallest Residential Block’. This group of multiple record-breaking buildings is led by Princess Tower with 23 Marina, Elite Residence, The Torch and Ocean Heights surrounding it, as well as the world’s tallest building with a 90-degree twist Cayan Tower. If you’re looking to buy a luxury apartment in Dubai, these high-rise buildings are a good place to start. Apartments for sale in Dubai Marina come in all shapes and sizes, at prices ranging from AED2,000 per square foot for studio apartments, to AED1,750 for 1 bedroom, AED1,800 for 2 beds and AED1,700 for 3 bedroom apartments. As the Marina is one of the most developed and most popular communities of Dubai, acquiring a property there is always a safe choice in terms of rental yields and returns on investment as well. Per Bayut’s latest reports, the average rent for studio units in Dubai Marina remained close to AED70,000 per annum, though premium units earned as high as AED125,000. Comparatively, 4+ bedrooms flats earned AED300,000 per year on average, while penthouses can cost as high as AED925,000 annually. Rental yields in the area are known to reach up to 10% for certain abodes. Even though Dubai keeps building more and more housing, tens of thousands of expats still choose to rent in Dubai Marina as it is a prime lifestyle destination. Most units come with the world of amenities that benefit all tenants. The area’s own mall, Dubai Marina Mall, offers everything from Waitrose and Reel Cinema to valet parking and a place to moor your yacht. Living in Dubai Marina means you shouldn’t worry about finding pharmacies, salons, ATMs, dry-cleaners or small shops either. Most of the buildings come with 24h security, gyms, pools, saunas, squash courts, kids’ playrooms, barbeque and lounge areas. Most importantly, easy access to the beach and Dubai’s central Sheikh Zayed Rd guarantee that the community will never go out of style. Renting an apartment in Dubai Marina is perfect for foreign professionals on the commute. 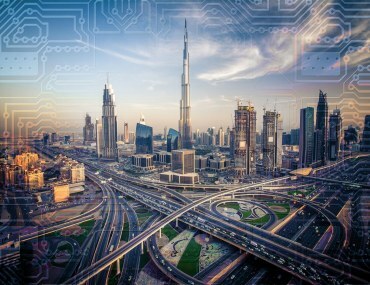 The area is close to the hugely popular business centres such as Dubai Internet City, Dubai Media City, Jebel Ali Free Zone, Al Barsha and JLT. Additionally, the Marina is nearby Dubai’s central Sheikh Zayed Rd and a short drive away from Downtown Dubai and Business Bay. Dubai Marina is also serviced by its own metro station, which is called Damac Properties, yet there is also the bus, the tram, the water taxi (high-speed boat), Dubai Ferry (high-speed catamarans) and the water bus (which uses the same Nol card as the metro). Many a property developer, starting from real estate royalty Emaar, have raised their high-rise masterpieces in this locality and most of the towers there feature 24h security, gyms, pools, saunas, squash courts, kids’ playrooms, barbeque and lounge areas. Moreover, apartments available to rent in Dubai Marina aren’t as expensive as in Downtown Dubai, with prices ranging from AED150,000 per year for 3 bedroom apartments, AED110,000 for 2 beds, AED90,000 for 1 bed and AED65,000 for studios. Units that continue to raise the most interest, however, are the ones with panoramic views of the marina. 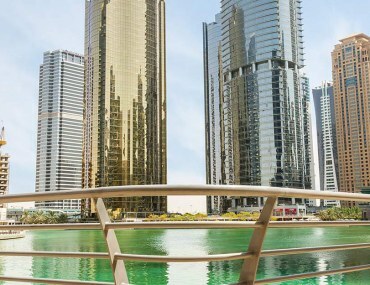 If you are looking for an affordable flat in the luxury housing category with stunning views, search for available properties in Marina Terrace, Dubai Marina Towers, Marina Promenade, Park Island, Marina Quays, Al Majara or Trident Buildings. The locality is populated with young go-getting professionals of European descent, as well as a wide range of other nationalities. 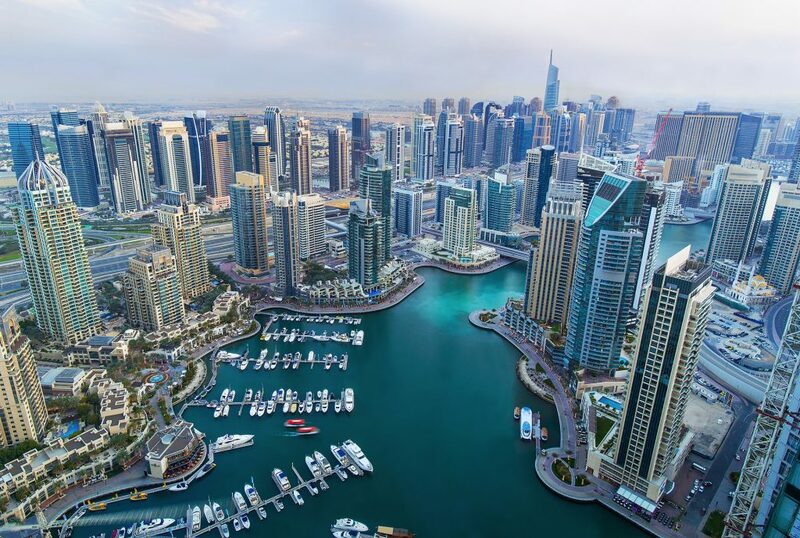 Expats from all over the world are looking to rent a property in the marina due to its various sports centres, such as Dubai Marina Yacht Club, Emirates Golf Club and the world-famous Skydive Dubai. Additionally, a plethora of night venues awaits, such as Buddha Bar, Societe Dubai, Zero Gravity, Barasti Beach Bar and The Scene. Living in Dubai Marina makes life easier for families too. Expats with small children can enrol them with Dubai Marina Nursery, Willow Nursery or Toddler Town. Additionally, Regent International School is a short drive away for primary school students, while those with high school level children should consider GEMS Wellington International School or Dubai College in the nearby Al Sufouh area. Finally, the community is home to the majestic Marina Walk – a 7KM long pedestrian walkway with cafes and restaurants overlooking the waterfront that is the perfect venue for jogging and socialising. However, the absolute biggest advantage of Dubai Marina is that it provides easy (and free!) access to Dubai beach – a place of never-ending summer. *All prices mentioned are approximate and subject to change.